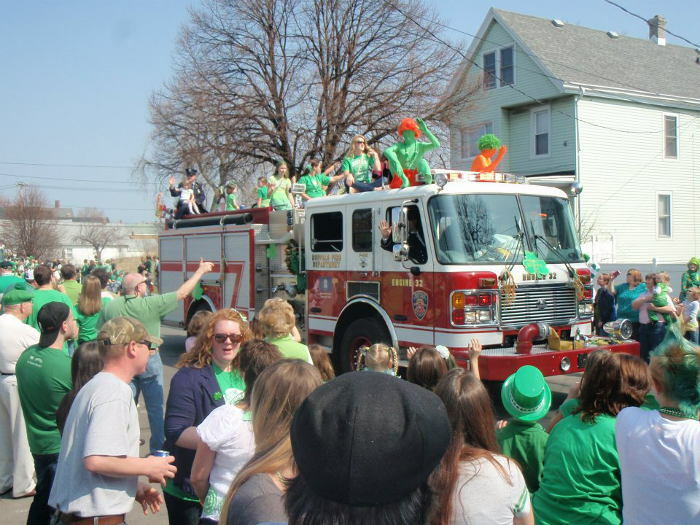 You haven’t experienced St. Patrick’s Day in Western New York until you’ve experienced it in South Buffalo. 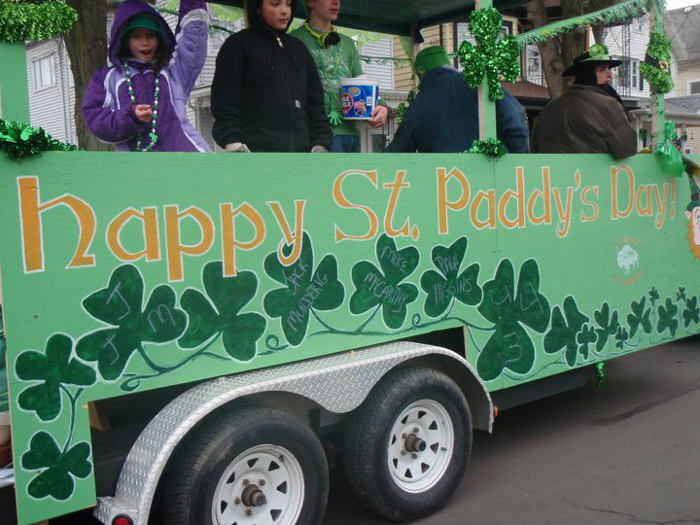 Known for its large Irish-Catholic presence, South Buffalo counts down the months, days, and hours until their biggest celebration of the year: St. Patrick’s Day. And in true South Buffalo fashion, the celebration isn’t limited to just March 17 but the entire weekend. Since 1994 the Old Neighborhood St. Patrick’s Day Parade (on Saturday, March 17th in 2018) has been retracing the original 1913 route through the historic streets of the Buffalo River Community in the Valley and Old First Ward neighborhoods. The parade starts at the Valley Community Center and will wind through the streets of the historic Buffalo River Community. Viewing of the parade is available along South Park Avenue (between Hamburg Street and Smith Street), Smith Street (between South Park Avenue and Elk Street), Elk Street (between Smith Street and South Park Avenue), Hamburg Street (between South Park Avenue and South Street), and South Street (between Hamburg Street and Louisiana Street). But the festivities don’t end there, they’re only getting started. 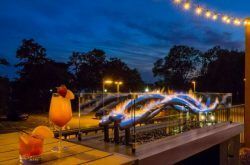 Read on for our list of the best places to get warm, cheers an Irishman in a kilt (don’t ask him what’s under it, trust us), and enjoy some good ol’ fashioned Irish Hooley. Located right on Hamburg Street, Gene’s is a staple for parade marchers and spectators alike and is one of the most popular spots in the Old First Ward. Get a home-brewed OFW draught and grab a seat at the tables in the back, who knows you might get lucky and hear someone sing an old Irish melody at the piano. “The best kept secret in town” and a historic staple within the community, Adolf’s is officially back and better than ever after undergoing some major renovations. Their mission is to bring the neighborhood bar back to the Old Neighborhood, and they’ve succeeded. 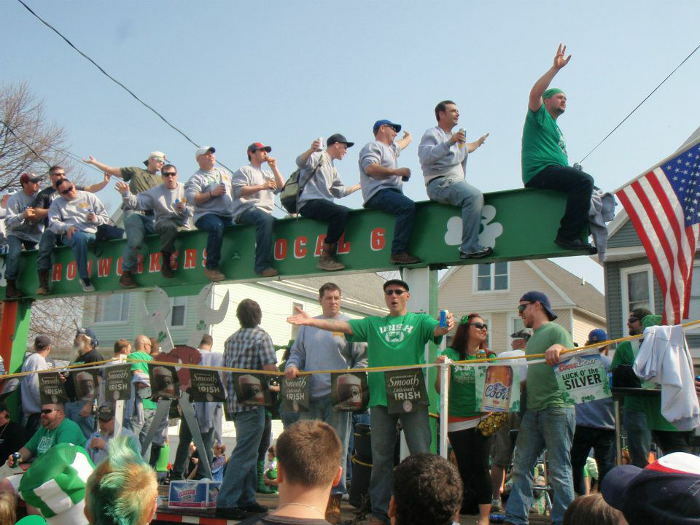 Enjoy a perfect pour, drink specials, and stories you probably shouldn’t repeat before, during, and after the parade. Cook’s is the place to go if you like good drinks, great company, and not waiting in line. Tucked away on the corner of Katherine and Republic streets, Cook’s is a low-key hangout that offers an escape from the crowds, plenty of bar space, pub games, and a mean Reuben sandwich. First opened in the 19th century, the Swannie House “has more history in its urinals than most bars have in four walls”. If you’ve never been here or even if you have, a visit to Swannie on the day of the Old Neighborhood St. Patrick’s Day Parade is a must. 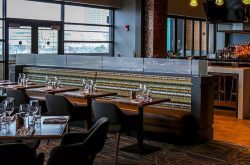 Take in the smell of Cheerios from the nearby General Mills factory, sip a cold Irish beer, and order anything on the menu, you’ll thank us later. This is where it all begins and usually where it ends. After marching its way through the Old Neighborhood you’ll find most of the floats have made their way back and are parked right outside the Center. 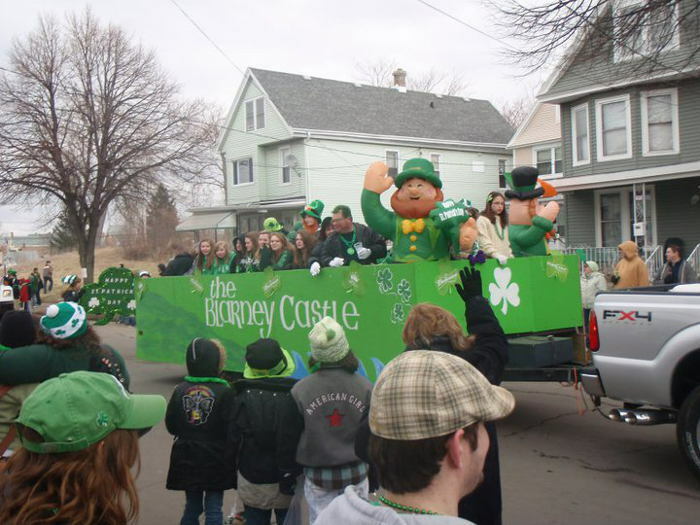 The Valley Center is the central hub for the parade and the whole neighborhood today, and once inside you’ll find live music, traditional Irish dancers, plenty of food and drinks, and at least ten people you haven’t seen in years. Pizza, subs, and chicken wings, oh my! 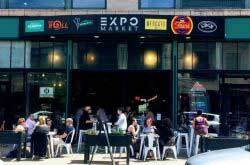 It’s not exactly traditional Irish fare, but it is an Old Neighborhood staple so we say it counts. Head on over to Carbone’s Pizza and carbo-load for whatever comes next on your journey, whether it’s another bar, an Irish Center, or your bed.